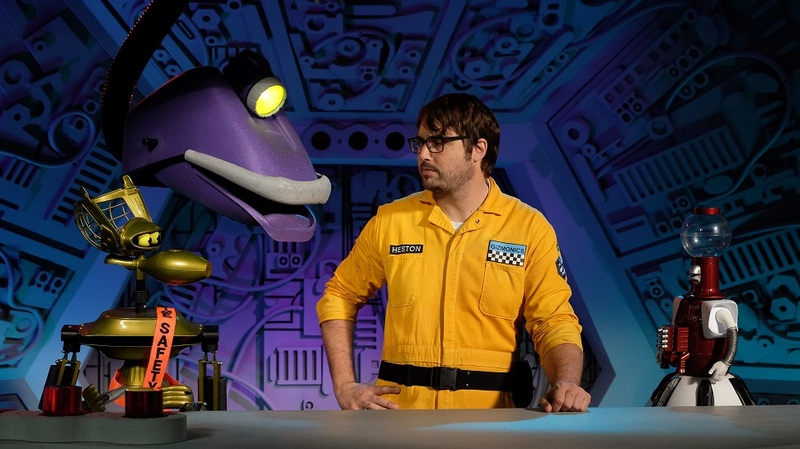 In a rather bit of exciting news for fans of MST3K, the show is getting another season that will be premiering on Netflix. After a super successful outing in 2017 on the streaming service, this year will see another new batch of episodes that will feature plenty of comedic riffing over a slew of movies. Originally airing in 1988 with a run that lasted more than a decade, the show had a huge following that remains loyal to the comedic series. Now, Netflix is will be once again bringing it back just in time for the holidays. The latest season will begin on Thanksgiving Day, November 22nd 2018, which also marks the 30th anniversary of the show. “Thirty years ago on Thanksgiving Day 1988 is when we premiered Mystery Science Theater 3000 in the Minneapolis market. We were competing with 60 Minutes for the same time slot, and I think history has shown which is the better show.” said, creator, original host, and producer Joel Hodgson.